Marie Antoinette and her Children. 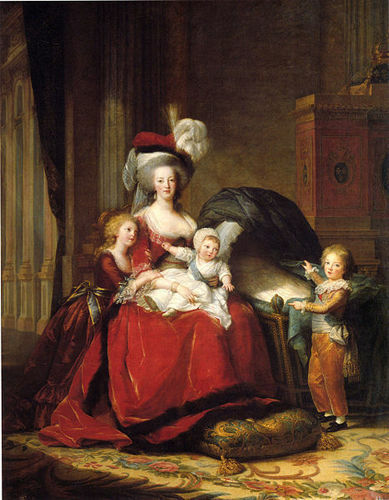 Painted দ্বারা Vigee Le Brun at Versailles in 1787.. Wallpaper and background images in the ইতিহাসের রাজা-রানী club tagged: marie antoinette france queen of france royalty monarchy queen. This ইতিহাসের রাজা-রানী photo might contain রাস্তায়, শহর দৃশ্য, শহুরে, বৈঠকখানা, lippizan, lipizzan, and lippizaner.